Today is National Pet Memorial Day, a day designated by the International Association of Pet Cemeteries in recognition of the importance of remembering our beloved lost pets. The day is always commemorated on the second Sunday in September. I will remember my lost cats today, and I hope you will do the same. I may shed a few tears, but mostly, for me, this is a day to spend some time in quiet reflection, remembering the joy and love our lost loved ones brought into our lives. 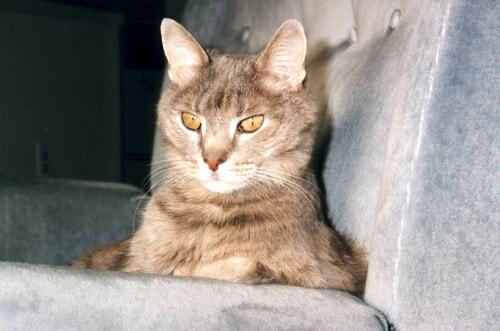 I’ll be remembering Feebee, my first cat, who passed away in April of 2000. He literally saved my life during a very dark period in my life: four months after my former husband left, my mother passed away. Just getting through each day seemed impossible at times. But Feebee was by my side for all of it, and somehow, I managed. He let my tears soak his soft grey fur. His quiet, loving presence eased my sadness. He was a great listener, and his rumbling purr provided comfort. Despite his loving presence, the pain and sadness sometimes became unbearable, and there were times when I considered just ending it all. But whenever these dark thoughts entered my mind, I would also think of Feebee. Knowing that someone still loved and needed me made it impossible to give up on life. Who would take care of him if I wasn’t around? And each and every time, love pulled me back from the edge – this special love between a cat and his person. Feebee gave me many gifts throughout the almost sixteen years he spent with me, but none greater than the gift of life. I’ll be remembering Buckley, who changed my life in ways I never could have imagined. She opened my heart, taught me about love and joy, and how to follow my bliss. I still marvel at how this one small cat with a gimpy leg enriched my life. She passed away in November of 2008. I feel her loving presence very strongly each day. 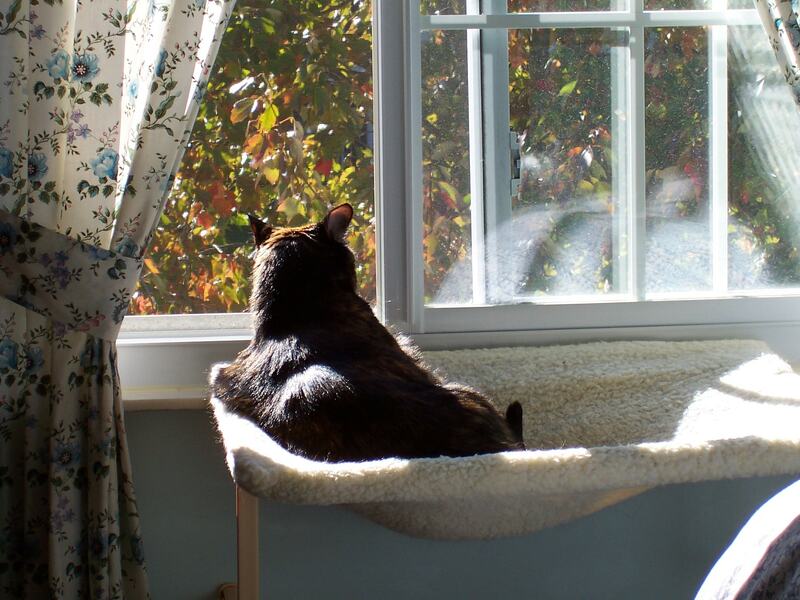 Every time I do something that expands my life, whether it’s helping another cat parent, winning an award, or writing a blog post like this one, I can feel her cheering me on. And I’ll be remembering Amber, my heart cat. She was a wise old soul in a feline body. She was a teacher to the core of her being, and I was blessed with her gentle and loving presence for almost ten years until she passed away suddenly and unexpectedly last May. We never “get over” a loss, the best we can hope for is that we find peace. Of all my lost cats, losing her has been the most difficult experience for me, and more than a year later, I still haven’t quite come to terms with her loss. I will always miss my beautiful girl. Who will you be remembering today? Please share your stories in a comment. July 22nd 2015 at 9am we lost Ozzy. He had lymphoma and was diagnosed only 2 short months before. He was a very grumpy boy but so loved. He was very vocal and the house is so quiet without him. I am still grieving for our boy and miss him every day. I’m so sorry about Ozzy, Sonia. It’s so hard. Remembering Shelby, who had to leave at only 12 years of age on February 23, 2007. He taught me what true grief was, and I hope I never feel a loss of that magnitude ever again. I took him home from the vet, who did a poor job with the euthanasia–Shelby’s last sounds were a painful yowl. 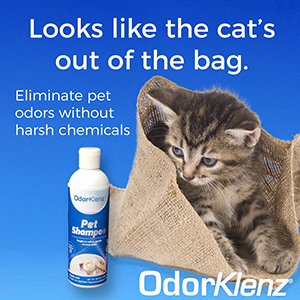 I dug his grave, and laid him to rest on his pillow inside his carrier. I insisted on doing this alone. I didn’t want my husband, or anyone on this earth, to see the agony I was in. I medicated myself with Valium; my husband had to leave on a trip. I found myself, curled in a fetal position on the floor, howling with primal anguish, utterly alone. How can you love this much? He was a cat who adopted me as a scrawny teenage fellow hanging about, looking for affection first, then food. I sat down on the ground to coax him to me when I first saw him. He climbed up onto my left leg, facing me, laid on his stomach, wrapped his legs around mine, and hugged me. When we got the lymphoma diagnosis 12 years later, he was only with me for three more days before I knew it was time. Shelby traveled with me outside of the US and held a passport. He comforted me from his carrier at the airport in Vienna, purring calmly and gazing at me with his remarkable golden eyes flecked with green. I laid down on the bench facing him, taking comfort from his breath. He once traveled for 25 hours without urinating, uncomplaining. My seatmates never knew I had him tucked beneath me, the jet’s roar lulling him to sleep quietly. My friends in the former Soviet republic we lived in fell under his spell; one of them made a pastel portrait of him for me. Shelby was camera shy. I wanted to capture his image often, but he would flee like a beleaguered celebrity, scowling at papparazzi. Shelby was a polydactyl, possessing great big thumbs with which he was prehensile. You could hand him something, like a pen, and he would grasp it effortlessly, a professor seeking a scrap of paper on which to write a bit of random brilliance. The paws of other cats still look ridiculously small and boring to me. My new husband was not a cat guy. To appease him, I had Shelby declawed at the age of four. His permanent limping was a terrible accusation to me for the rest of his days. To make up for this unintentional cruelty, my husband agreed without hesitation to pay for the cost of radiation treatment for hyperthyroidism. Shelby underwent a radiograph prior to this, and that’s when the rampant lymphoma was discovered. I have another cat now. I tried to guard my heart but of course Ted broke through by being the consummate clown. So different, so funny, brash, hammy. I plucked him from the euthansia list at the pound, not meaning to have another cat. I adopted a lovely dog, but he has never become more than a pleasing companion. I’m haunted, 5 years on, about the little black cat’s paw reaching out for me in the cage below Ted’s. I should have brought her home, damn the dog. Thank you for sharing Shelby’s story. When we use these special soul cats, our lives will never be the same. I am glad that Ted was able to open your heart to love again. I did not know about this day of remembrance until today so I will be a day late in celebrating and remembering my two “sons”. My first was a tiger striped grey cat that I got as a kitten when I was three and I had him until I was 12. His name was Kalamazoo but we called him Kallie. He was such a good and patient cat with such a young and enthusiastic kid. 🙂 When he passed I didn’t get a cat for a bit. When I was 13 a mamma cat (probably a torbie now that I know that name) show up at the house. She was a stray and was going to have kittens. We fed her and she stayed around. Her name was Autumn and though she got to where she mostly trusted us she would never be the type of cat that would crawl on your lap. She had six kittens, three boys and three girls. I got to keep two kittens. I chose a girl cat that looked like Kallie and her name was Tiger. I also kept a boy cat that was orange and white. He was named Garfield and earned the nickname Gar. The other cats went to good homes, including the mamma cat. Tiger did not fair well with her spay for whatever reason and passed away. I was 14 at the time. So now Gar was an “only” cat. Do you think cats can be guardian angels in disguise? If so then Gar is/was mine. I miss him everyday. His picture is still on my desk at work. He passed away in Jan. 2007. He was almost 18. I also had a special “nephew” cat named Thomas. He was orange and white like Gar and much the same laid back attitude. I miss him too. 🙂 Someday soon I hope to move to where I can have a cat again. I can’t wait! Thank you, all of you, for sharing your beautiful stories of remembrance of your special cats. Your words touched my heart. An adorable bunch of cats have lived with me -I have been so blessed- some for a short time, some for a long one, but each and everyone left a pawprint in my life… love all of them, still. I’m so glad you included all the cats you’ve loved and lost. Hugs and purrs to you today. As you know, today I’ve focused on Coco, but there have been so many cats in my life that a do a special memorial in October. i remember with so much love, my 4 ‘babies’ who have all passed away at ages betwen 16-19, within the past 6 years: Sumi, Snagglepuss, Small One and Minx. 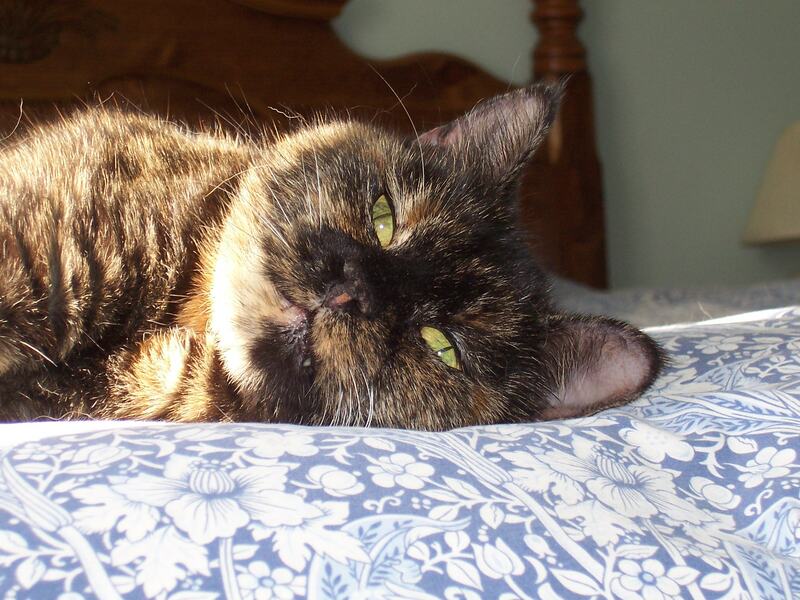 Small One, my most beloved, passed away on 17 august 2010 aged 18 years 9 months – i still miss her every day. I treasure the love and joy all my beautiful babies shared with me. Thank you for sharing your memories, Ingrid. I’ve always felt their loss was a sign that they had guided me as far as they could and now needed to leave me on my own and go off to live the next, spiritual, part of their existence, having achieved one of their goals in life, teaching a human a life lesson. 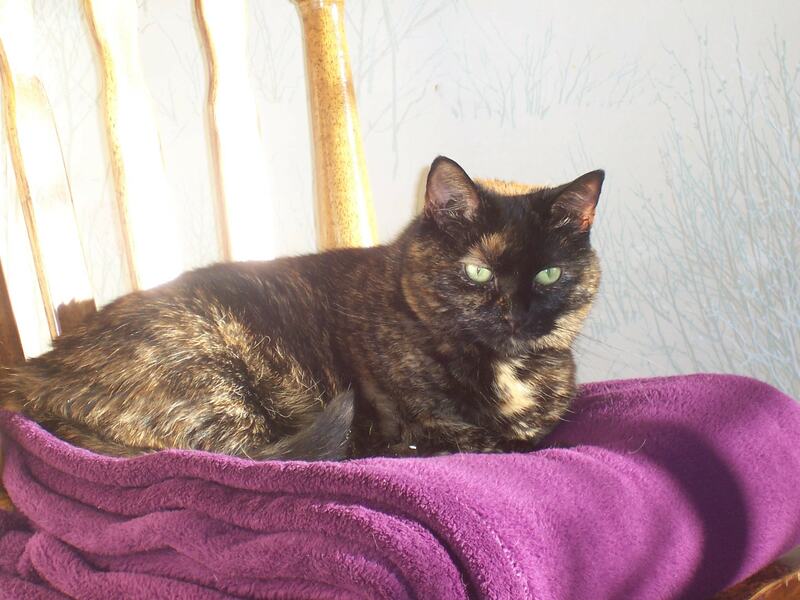 I remember The Empress Raleigh, my first cat, who graced my life for almost 12 years. She was a cat whose commanding presence and innate elegance, along with her mesmerizing green eyes, captivated me from the first moment I saw her. In her later years she was a tiny cat, mostly fur, but she had a huge presence and the heart of a lioness. She was my best friend, and I also respected her strength and spirit. She was scared of many things when I first adopted her, and she overcame all of them – even the evil vacuum cleaner, which she eventually would stand in front of and roar. My beloved Gomez was an extraordinary little black & white cat. He passed barely a year ago, on August 21, 2010. His little brother Rowdy, my husband Mike, & I are just beginning to learn how to live without him. As his mom it was my responsibility to keep him safe and warm. Yet my best effort couldn’t compare… with the warmth & safety I experienced when he would lay down next to me & gaze lovingly into my eyes. I could just relax & float through any pain or heartache, while surrounded by his perfect, unconditional, limitless love. He licked away my tears so many times, I lost count many years ago. When I was restless, he made a mission of sitting on my chest and hypnotically coaxing me to sleep with his gentle purr. If my soul was troubled, he often was aware of it before I was and had the uncanny ability to transmit whatever quality – perspective, forgiveness, healing, hope, peace, serenity – I most needed at that moment. He gave me far more than I could ever give him and in return asked only for my presence. He knew me better than I knew myself, and his companionship has made me a stronger, better woman to this day. He gave me so much pure and perfect love that I have plenty of it still stored away in my heart, and I will live on that the rest of my days. I take comfort in the certainty that when it is time for me to leave this world, he will be there waiting for me in the next. I can’t wait to see his face again. I have been owned by a number of incredible cats in my 64+ years in this life, but some more than others have left a bigger “hole” in my heart on their passing. I will remember them all for the rest of my life, but honor them on Pet Memorial Day…..the motto of our country on 9/11 is so fitting for remembering our lost pet loves as well………”NEVER FORGET”…..and I won’t. Karma. He passed on June 10th of this year and I miss his voice. He was so vocal; he adored his dad (probably because he rescued him in a car engine way back in 1997). Miss you k-man! onething that always be in my prays..that someday when myday will come..GOD put me in heaven…surrounding by them…and they will really talk to me!!! !…isnt it wonderfull??? I will remember Sage, our dear old lady who recently left us. And Lucky, the sweet soul that stepped in a steel trap as a pup yet with loving care from a dedicated team of caretakers managed to live to the ripe old age of 11. Precious Kitty, who taught my dad, among others, that it’s OK to love someone. And Lover Boy, who pretended to be aloof, but who took great care of me.